Their recording of Tippett’s string quartets (Wigmore Live) received widespread acclaim and won the 2016 GRAMOPHONE Chamber Disk of the Year. A subsequent release on Harmonia Mundi of Tchaikovsky: Quartets 1 &3 was selected as Disk of the Week by both The Sunday Times and BBC Radio 3. The Quartet’s complete Bartók cycle (recorded live at the Wigmore Hall) was released by Harmonia Mundi in June 2017. Highlights of the 17/18 season include a five-concert series at Wigmore Hall featuring Jörg Widmann’s quartets, as well as further Widmann cycles at the Boulez Saal and Kilkenny Festival, a tour of the US including debuts in Chicago and Los Angeles, and recitals in Belgium and The Netherlands with Hannes Minnaar. They will record the Enescu and Mendelssohn octets, give the premiere of a new work by Helen Grime, and undertake a 2 week tour of New Zealand. The Quartet will be on-stage cast members in Calixto Bieito’s play adaptation of Robert Burton’s The Anatomy of Melancholy, with performances in Birmingham, Brighton, Luxembourg, Bilbao and Amsterdam. Notable performances of the previous seasons have included a complete Beethoven Cycle at Kilkenny Festival, a John Tavener premiere at the BBC Proms, concerts at the Beethovenfest Bonn, Mecklenburgh-Vorpommern Festival, the Concertgebouw Amsterdam and their debuts at the Musée d’Orsay and Louvre Auditorium in Paris. Regular visitors to the United States, the quartet also recently made their debut in New York at both Carnegie Hall and the Lincoln Center, and continue their residence at Middlebury College, Vermont. In the UK they have also performed at the Barbican, Bridgewater Hall, Sage Gateshead, Perth Concert Hall and Queen’s Hall Edinburgh. And in Europe they have appeared at the Kissingen Winterzauber and Schwetzinger Festivals as well as deSingel Arts Centre in Antwerp, Vara Konserthus in Sweden, Berlin Konzerthaus, Esterházy Palace, and the Musikverein and Konzerthaus in Vienna. 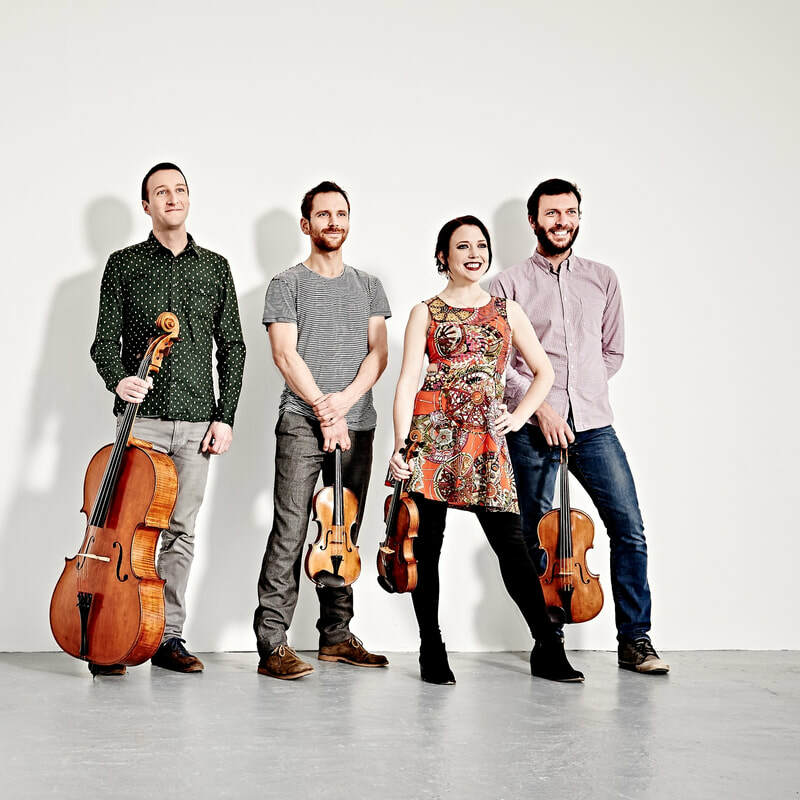 The Heath Quartet are members of faculty at the Guildhall School of Music and Drama. Listen to a sample recording of one composition selected from this concert. Please note, the recording has been performed by musicians other than our current season of artists who will bring their own unique interpretation of the very same piece. Find out more about our other concerts this season and also read more about all our performing artists playing for Whitstable Music Society this year.